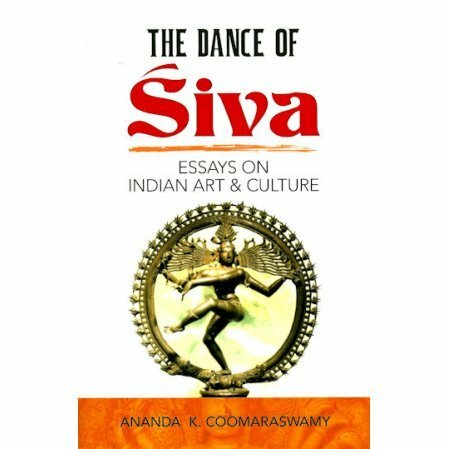 A study of Indian art and culture. Ananda Coomaraswamy, late curator of Indian art at the Boston Museum of Fine Arts, was unexcelled in his knowledge of the arts of the Orient, and unmatched in his understanding of Indian culture, language, religion, and philosophy. In this excellent reprint of a rare volume of essays, he reveals the essence of the Indian experience, rooted in "a constant intuition" of the unity and harmony of all life. Everything has its place, every being its function and all play a part in the divine concert led by Natarājā (Śiva), Lord of Dancers. In a series of 14 stimulating and provocative essays, Coomaraswamy unfolds the vast metaphysic of India: the magnificent revelation of its art; its conception of the universe; social organization; attitudes toward feminism; problems of family; romantic love, and marriage. His sweeping commentary considers the "intellectual fraternity" of mankind; the venerable past as it survives side by side with emerging modern India; and the individual, autonomy, and repudiation of "the will to govern." Enhancing the text are 27 black-and-white photographs — mostly of masterpieces of painting and sculpture from the second century B.C. to the eighteenth century, and including the glorious "Cosmic Dance of Nàtaraja." This handsome volume offers rich insight into the art, philosophy, and culture of a fascinating forty-centuries-old civilization. Ananda K. Coomaraswamy is also the author of Myths and Legends of the Hindus and Buddhists along with Sister Nivedita.